Do you want to have a visit to some ice hotels? If the answer is yes. 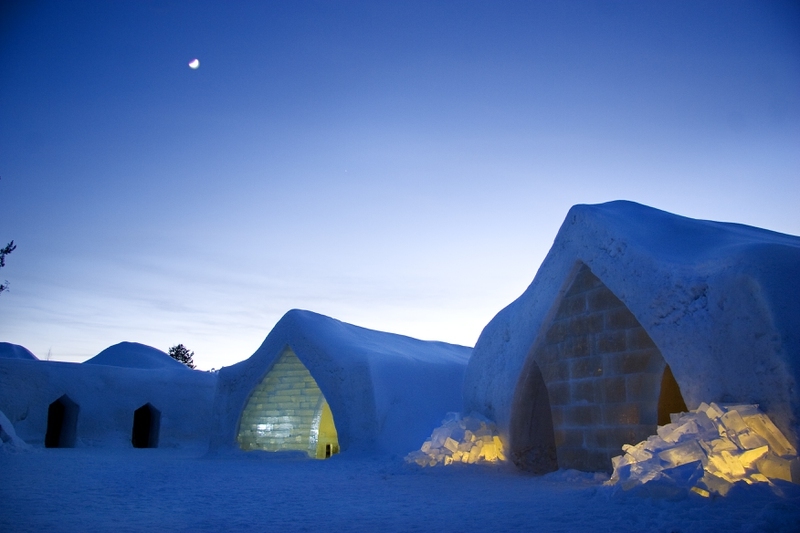 You will want to visit the 12 ice hotels listed below. Visitors can stay at the hotel and choose from a glass or snow igloo. The location is perfect for viewing the Northern Lights or the bright stars with the one you love. Rooms range from standard igloos to family size for the perfect stay. Experience the romantic atmosphere of Schneedorf Snow Village and enjoy an unforgettable stay. This hotel includes an ice bar, an ice restaurant, and an ice church. Be sure to dress warm – everything in the igloos are made of ice! The Aurora Ice Hotel is located in the heart of Chena Hot Springs and is open all year-round. The beautiful ice hotel offers scenic views of the Northern Lights and includes a restaurant and ice bar. The 21-room ice hotel has entered its 29th season and includes a snow chapel for winter wonderland weddings. Located near Quebec City, the hotel features 44 rooms. Guests are greeted with diamond-like flutes of iced cider to sip. The ice suites feature sculpted art and decorations from snow and ice. The elegant ice hotel is the perfect place to cozy up for a few days. This modern ice hotel is perfect for a cold weather adventure! The Lainio Snow Village has all the amenities you need under one ice roof!